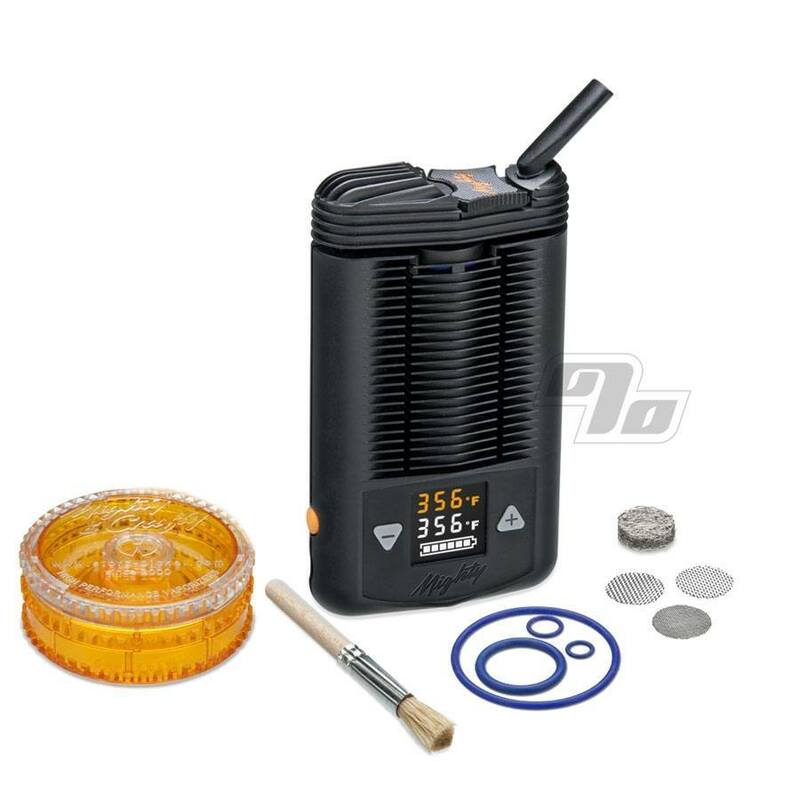 The New Mighty Vaporizer from the makers of the Volcano, Storz & Bickel, delivers high quality vapor in a sleek, handheld package. Digital display on the unit as well as dual Li-Ion batteries for extended use away from a power source. The Mighty incorporates several cutting-edge thermal engineering features, enhancing the vaporization experience. This lithium-ion battery powered unit fits right in your pocket. 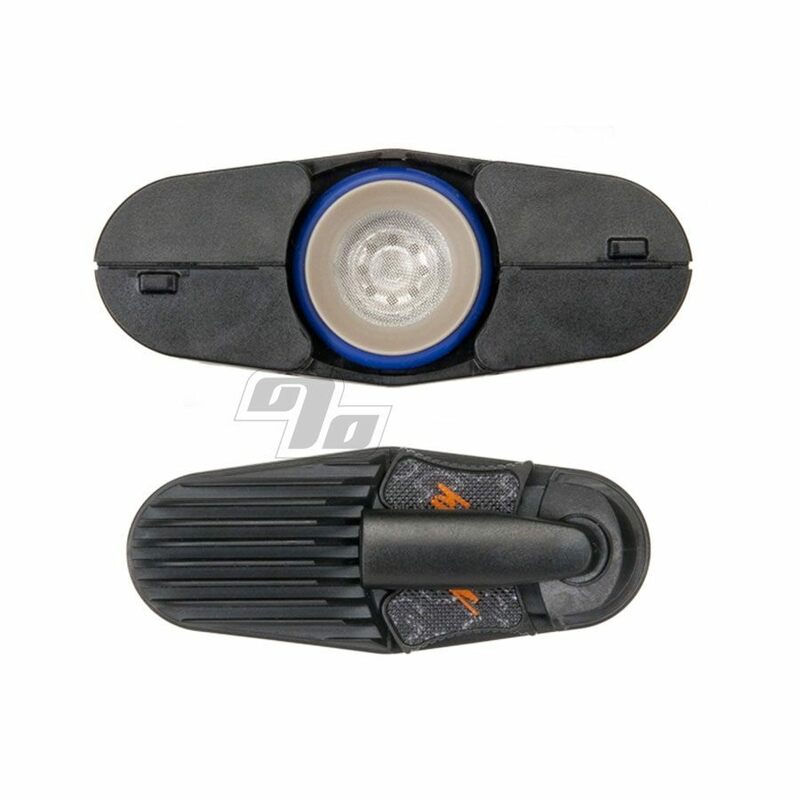 A plus/minus control keys and the easily visible LED-display, ensures simple operation. When the desired temperature is reached, it is signalled through a short double-vibration and the LED lights change from red to green. 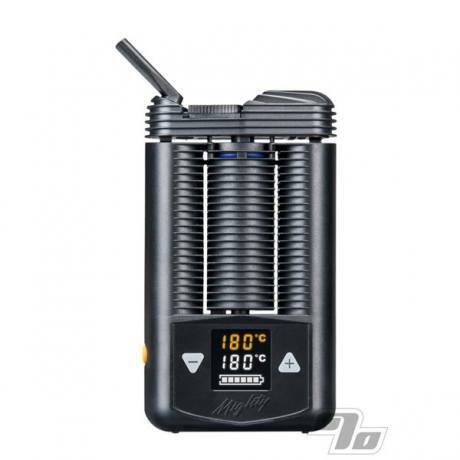 The Mighty Vaporizer is hand-crafted in Germany by Storz & Bickel, the makers of the Volcano Vaporizer lines as well as the highly rated Plenty hand held vaporizer. Their long track record speaks for itself. 1 Percent first carried in 2003! The Mighty's vapor quality is similar to the Volcano: dense, aromatic, and pure. The Mighty's effective vapor production system makes for an enjoyable experience without the learning curve found in some other vaporizers. Weighing in at only 0.5 pounds and measuring 3.2” (L) x 5” (H) x 1.2” (W), it is one compact and silent vaporizer. Storz & Bickel warranties the Mighty for 3 full years when purchased through an authorized distributor. Germans! This item can only ship to the address listed on your credit card account -or- can be paid for in advance with Bitcoin, check or money order (exceptions made for long time customers). Discounts not applicable on Volcano products as per manufacturer requirements.